36 wide x 13" deep x 63" high. 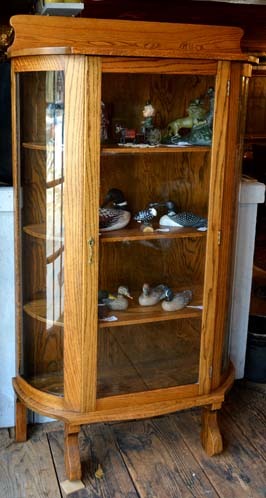 The Oak China Closet was a staple in every home at the turn of the 20th century. This China is done in the Empire style (note the rolled feet) and has a pegged backer board to top it off. 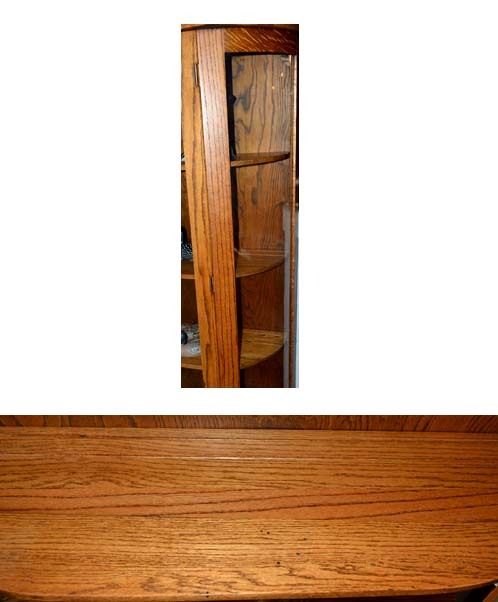 It has 3 shelves with double plate grooves, and the lock and key are original and functioning. The curved glass on the sides is original to the piece as is the glass in the door. 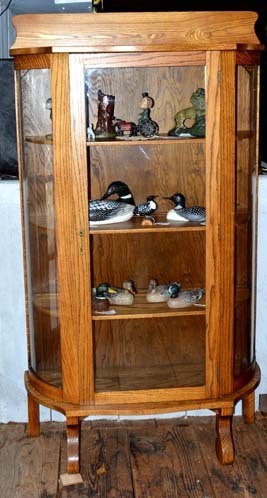 This would be a great place to display any collection or extra glassware, china or silver.